For additional content, images, and media visit store.kde.org. The KDE logo can be used freely as long as it is not used to refer to projects other than KDE itself. There is no formal procedure to use it. Copying of the KDE Logo is subject to the LGPL copyright license. Trading and branding with the KDE Logo is subject to our trademark licence. For more details on their usage please see the KDE CIG Logo page. 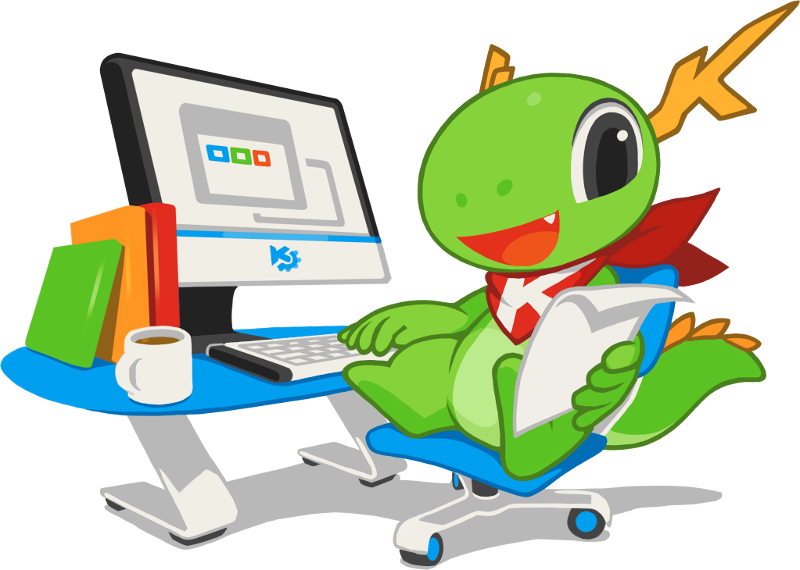 Konqi and Katie are the primary KDE mascots. There is a wide variety of contextual images and media available on our community wiki along with usage guidelines. These logos are available for archival and historic reasons, and should not be used in the creation of new KDE-related content.